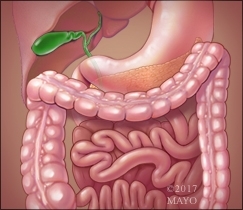 So far, treatment for celiac disease has been limited to a gluten-free diet, but as clinicians and researchers understand more about the causes of this disease, it has opened up many avenues for development of new treatment. There are at least 3 drugs that have shown hints of promise in small clinical trials, and larazotide acetate is the first one that will soon advance to the final stage of testing. Researchers observed that the compound reduces the permeability of the gut, and found that the combination of the drug with a gluten-free diet reduces the symptoms of celiac disease better than a gluten-free diet on its own. Dr. Joseph Murray, M.D., provides some insight into this exciting development that may hold the key to a better future for patients living with celiac disease. Dr. Murray is a gastroenterologist and celiac disease expert at Mayo Clinic.